Dear Labby: My Dog Is Pooping Blood! What Should I Do? I’m very worried about my dog. He just pooped and it had streaks of red in it. I think it’s blood. What does pooping blood mean? What can I do? Should I rush him to the emergency vet, or is this something I can treat at home? Is my pup in danger? I need advice right away! 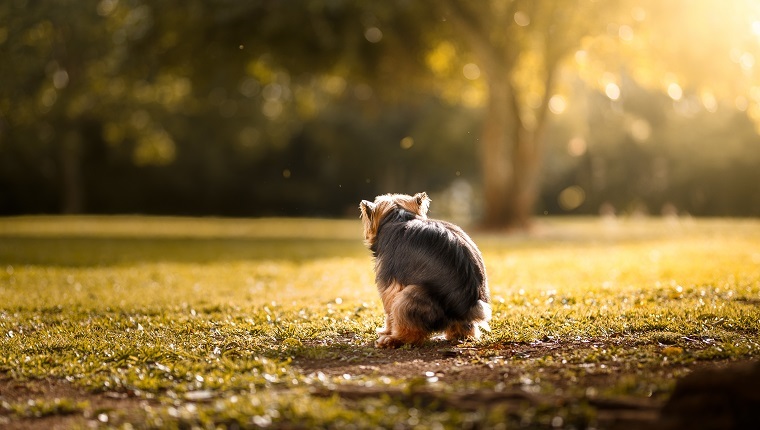 When a dog poops blood, it can be terrifying for dog owners. It’s a fairly common symptom that can mean a lot of different things, ranging from mostly harmless to deadly. That’s why it would be impossible for me to just tell you what’s wrong with your dog over the internet. If there is blood in your dog’s stool, you absolutely need to talk to a veterinarian. It’s the only way to know if your pup is in danger and what kind of treatment your dog should receive. Here are a few things to consider when you see blood in your pooch’s poop. How Can You Tell If It’s Blood? Seeing red in your dog’s stool doesn’t necessarily mean blood is present. Dogs sometimes eat red things that go undigested and end up turning poop red. Did your dog eat anything red recently? Did they swallow something with red food coloring? Or some chapstick maybe? Even a red crayon? If that’s the case, then your dog might just pass whatever it is and be fine. However, if you can’t be sure that there is another explanation for the red color in your dog’s stool, it could be blood, and you should see the vet. Sometimes your dog may be pooping blood without a red color appearing in their stool at all. When bleeding happens higher up in the digestive tract, the blood may come out partially digested. If that’s the case, your pooch’s stool might appear black and tarry. That should not be ignored either. If your dog shows other symptoms like lethargy or refusing to eat or drink, get to the emergency veterinarian right away. These could be signs of a big problem like gastrointestinal obstruction, and you don’t want to mess around with that. If you don’t see any other symptoms, you should give your regular vet a call. This may sound gross, but we’ve already been discussing bloody poop anyway. 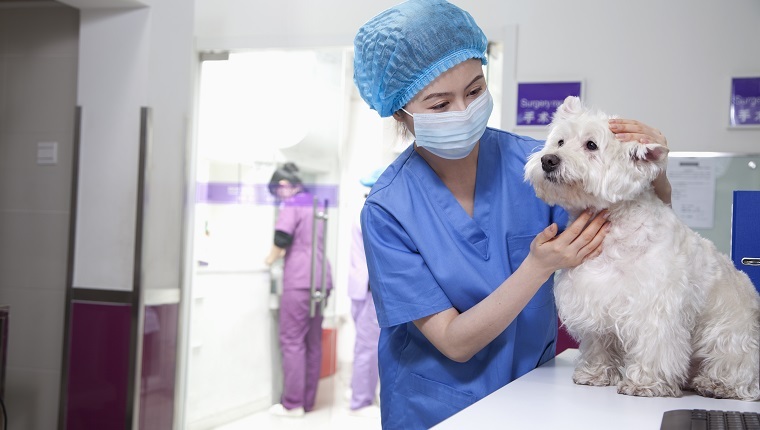 You should save a sample, if possible, of your dog’s stool when you notice blood. This may help the veterinarian determine what is wrong with your dog. 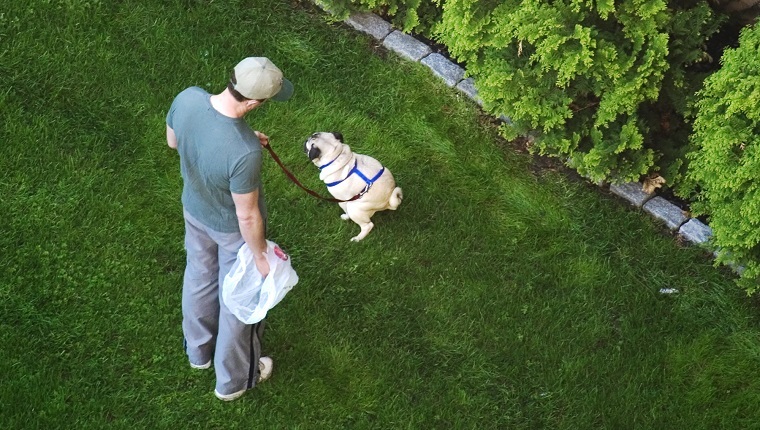 Just scoop it up in a normal poop bag and bring it in. If the poop is loose and wet, just do your best. Talk to your veterinarian. You’ll probably need to bring in your dog for testing and a proper diagnosis. Most of the time, blood in the stool is not a sign of deadly issues, but that is a possibility. Get to the vet. Your veterinarian will want to know what your dog has eaten lately. 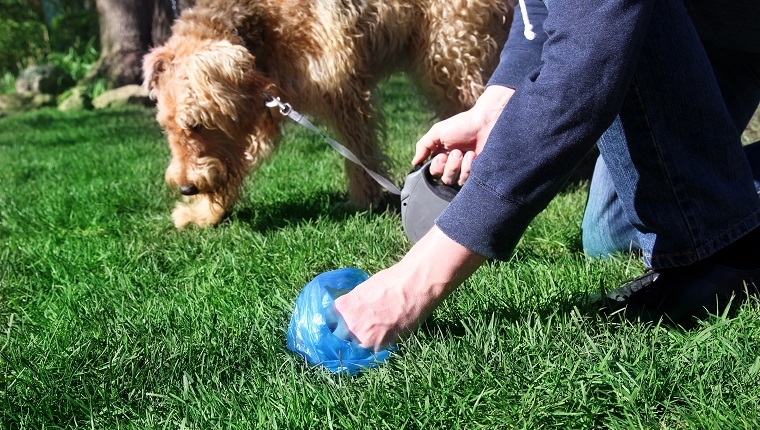 Has your dog been exposed to chemicals? Eaten from the trash? Had a change in diet? Gulped down table scraps or something off the ground? All of these things could be the source of your dog’s problem. Make note of any other symptoms you see in your dog. Your vet will want to know if your dog has experienced changes in appetite, changes in urination, lethargy, vomiting, diarrhea, weight loss, excessive thirst, or anything else out of the ordinary. 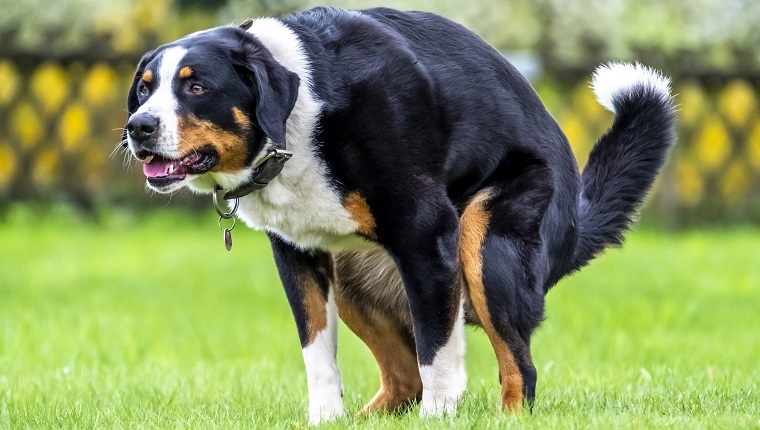 There are so many possible causes for blood appearing in your dog’s poop. Some of them are harmless. Some need emergency attention. The color of the blood may help indicate where the problem is in your dog’s digestive tract. If it is black and tarry, the blood has been digested and bleeding is probably happening in or near the stomach. If the blood is red and mixed with diarrhea, it is probably happening in the upper digestive tract. And if the blood is red and coating or mixed with solid feces, bleeding is likely occurring in the lower intestines or near the point of exit. That can tell you where bleeding is happening, but not necessarily what is causing the bleeding. That’s why your vet needs to run tests. Here are a few possible causes of blood in your dog’s poop, though there are several others not listed. Treatment for your dog pooping blood will depend entirely on the cause. For minor issues or food allergies, your vet may recommend dietary changes. For parasites and infections, your vet may prescribe medication for treatment, as well as preventative drugs to stop future infections. Serious infections may require hospitalization. A gastrointestinal obstruction will likely require emergency surgery. Again, it’s impossible for an internet article to tell you exactly why your dog is pooping blood and how to treat it, but hopefully all of this gives you a better idea of what might be going on and what to do about it. So, P.O.O.P. R.E.D., the important thing to remember is to not panic. Most of the time, some blood in your pup’s poop is not much to worry about, but you must talk to your veterinarian to be safe. Loving dogs can be a dirty job, but we’re happy to do it for our wonderful pups, right? Has your dog ever pooped blood? What was the cause, and how did you treat it? Let us know in the comments below!